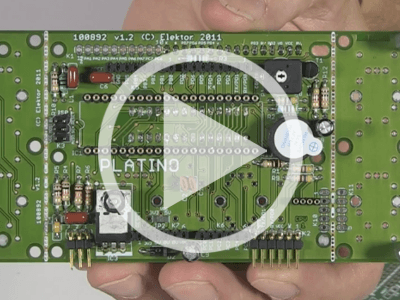 Designed by Clemens Valens at Elektor.LABS, the AVR Playground – a playful reference to the Arduino forum known as the Arduino Playground – is a hybrid of an Arduino Uno and a traditional micro-controller development board. It is intended for ‘doing Arduino’ without bad connections and loose wires (although it doesn’t disallow it). 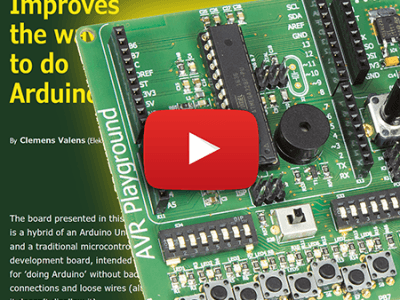 It provides an easy way to start learning the microcontroller without having to solder or add other components. A kit of parts for making a robot and experimenting with the Brainbox AVR educational board is available in the Elektor Store. Also suitable for hobby environments, the Brainbox AVR board is 100% compatible with Arduino, but it's more than a regular Leonardo. Thanks to the rugged screw connections, the 500mA outputs, the four DC servo outputs and the many power supply options, this enhanced platform is immediately useful, perfect for educational and DIY purposes. The Platino board is already a classic at our lab. However, to some people it’s still not very clear what this versatile board is capable of and how it can best be configured according to the application. We hope this tour will help dispeling any doubts!